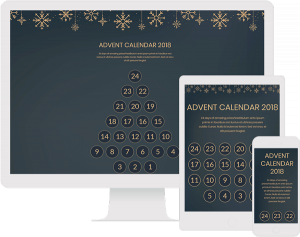 An online advent calendar is a tried-and-true concept, that gives your audience a reason to interact with you in the days leading up to Christmas. So, whether you want to build a stronger relationship with your customers, boost sales, generate traffic, increase your subscriber list, collect new data – or just be nice, then it’s definitely one of those opportunities you don’t want to miss. 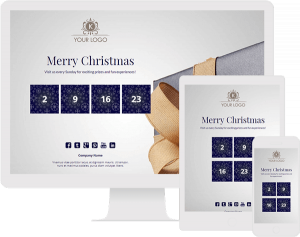 At Dot.vu, we are of course aware of this and want to bring you the tools, to very easily create and manage your own advent calendar campaign. 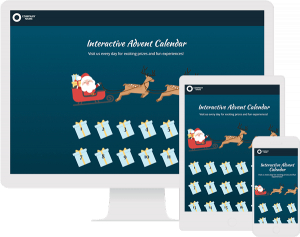 And so, we’ve been very busy introducing new features to the platform together with a ton of new templates, to help you win this Christmas! But before diving into our new features and templates, I’d like to start by introducing the concept of instant-win/instant-gratification. As consumers, we no longer want to sit around and wait to know if we won or not. No, we want to know now – and this is exactly what instant-win delivers! More and more companies are adopting this approach, to increase the performance of their campaigns. We as consumers are less patience than ever before. We don’t want to wait a day to know if we win or not – we want to know now. It’s an experience that speaks to our curiosity and incentivizes us to participate to a much higher degree, compared to just seeing a standard lead form followed by a “thank you” message. With many still opting for a more standard user experience, companies who do this have a chance to differentiate themselves and deliver a much more engaging experience, that customers will remember. With the new changes we’ve made, it’s now easier than ever before to setup and manage online competition that uses instant-win. The kicker? Our new Draw feature! We’ve recently introduced a new powerful feature on dot.vu for setting up and managing draws. 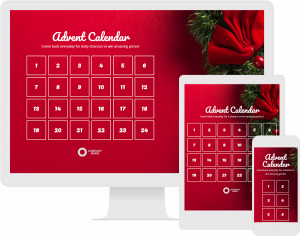 This feature comes with a lot of use cases and is the perfect engine behind any Advent Calendar Campaign. 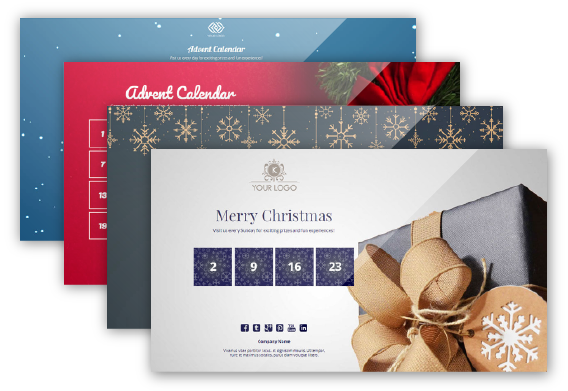 With the traditional online advent calendar, you invite people to participate every day for a chance to win daily prizes. Participants give up their name and email, and voila’ they’ve now entered the draw. The winners are then found the following day and contacted. With the new draw feature, you have a single place to manage this, where you can go in and export the names of the lucky winners for a specific date. That’s the most basic scenario. However, you can use the draw for much more than that, such as setting up an instant-win advent calendar! 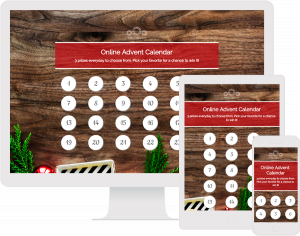 As an example, you might want to create and launch an Advent Calendar with instant-win capabilities. In this case, you can use the draw feature to control such things as: how many prizes you will be giving out each day, which prizes are available on which days, how many times people can participate, at what time of the day all prizes need to have been given out, etc. It’s the same prize being given away for all 24 days. People can only participate once a day. People who have already won, should not be able to win again. Participants should know if they win instantly. Ready to get started? You can choose to build it all yourself or have us do it for you. Read more and get started here!